As a kid, visiting touristy places with my family, I had an unshakable fascination with the tiny box turtles with shells painted with pictures of attractions as living souvenirs (Fisherman’s Wharf, Alcatraz, etc–better to buy a postcard or shot glass or thimble or license plate with your name on it). It was undoubtedly an unhappy, and unnaturally short life for the turtles as they scrambled over one another in plastic tanks outside a shop, next to the wind chimes and seashell picture frames. My own reaction shifted to revulsion and my activist blood began to boil when my folks told me that the paint would cause harm and probably kill the turtles. From that point forward, I would refuse to even cross the threshold of any store selling them (care of the tiny turtles is also a fair bit trickier than the tourists of the 1970s likely realized, also guaranteeing an unnecessarily short life for most). Toward a much better life for turtles, and trying to improve aqua environments, Clean Ocean Access is championing work for cleaner oceans and marine debris solutions. Consider volunteering with their Rhode Island-based projects, not just on World Turtle Day, but any day. On the opposite coast, in California, Heal the Bay works tirelessly to protect and improve the Pacific oceanscape, and their work has been accomplished with the help of over 100,000 volunteers just like you. Check out opportunities. Before you book your next volunteering gig with these turtle champions or one of so very many others near you (an internet search for “Turtle Volunteer” yields loads of results), surf over to the website for Greenpeace and send an S.O.S. to world leaders on behalf of turtles everywhere, and all their aquatic neighbors, to protect their homes…and lives. I’ve been blessed enough to snorkel among honu (the Hawaiian for green sea turtle) and it is simply magical and meditative to glide in the water with them. Making sure next generations can also see them (from a safe and unobtrusive distance, of course) is so important. Oh COME ON now! How did I grow up at the wrong time and miss THIS?! 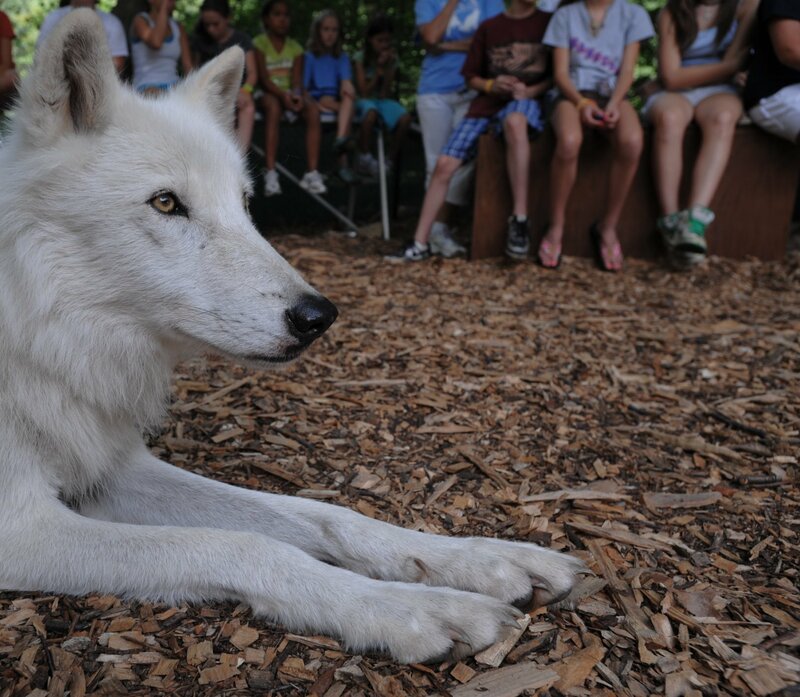 The Wolf Conservation Center in South Salem, New York (a brilliant place to visit by the way. Say “Hi” to Atka, an ambassador wolf I met when he was a pup, when you go) is offering Wolf Camp for kids in grades 2-5, for sessions in April, May, June, July, and August. I wonder if they’ll notice if I stow away and impersonate a second grader as they learn “Wolf 101”, walk with a wolf, play hide & seek with tracking and telemetry, create plaster paw prints from tracks in the field, and do other wolfy arts and crafts. It’s a four-day program, and graduates get a special “Junior Wolf Biologist” certificate. If I can sneak in, Junior Wolf Biologist is SOOOO going on my resumé! Registration is now open. One More Generation (OMG) is a non-profit that was founded by 9-year-old Carter and his 7-year-old sister, Olivia. Finding out that there are over 1,000 animal species on the endangered species list was as alarming to them as it is to all the rest of us…but the difference is these two decided they had to do something about it. They have dedicated themselves to keeping endangered animals around for, at least, one more generation. In addition to advocacy by these junior activists, there are petitions and alerts for us to take action, and there is always lots of news on their website. This is where, as an example, I learned about yesterday’s historic vote in the Senate to pass the Shark Conservation Act and outlaw shark finning in US waters. In addition to supporting their important and inspiring work, I think it is a huge priority to support their passion and gumption. How many of us have launched new charitable organizations to take on issues that matter to us? And done it in between soccer practice and homework? SeaWorld rocked my world as a kid–or was it Marine Land? The aquatic animal parks are what made me want to be a marine biologist for years and years. For every argument about animals kept in captivity and animals put on “show” there is it corresponding argument that conservation of species as well as study and health innovations that happens in marine parks, zoos, and aquariums, better guarantees the future of the same species in the wild. What I know, is the access, as a kid, to get close to dolphins and orcas and sea turtles and manatees was a profound experience for me–and made me an advocate for marine mammals. Sea World has a program, SeaWorld Cares, where children’s admission price tickets are 100% donated to one of three conservation charities (until the end of 2010). The partner organizations are great ones: National Wildlife Federation, World Wildlife Fund, and The SeaWorld Busch Gardens Conservation Fund. Five bucks for a children’s ticket–and the potential to inspire a lifetime of advocacy in your kid. Now THAT’S a summer destination to book now. Starting today, April 17, through Sunday April 25, in celebration of Earth Week (the fortieth anniversary of EARTH DAY is April 22), over 130 of the best zoos and aquariums across North America are throwing a big ol’ Party for the Planet. While I have always had a somewhat conflicted view of zoos, some of them from my childhood being very sad with animals pacing in cement box cages or the gorilla that was in the bright blue wrought iron cage in a shopping center parking lot zoo—so many zoo habitats are now stunning and natural environments where animals thrive. 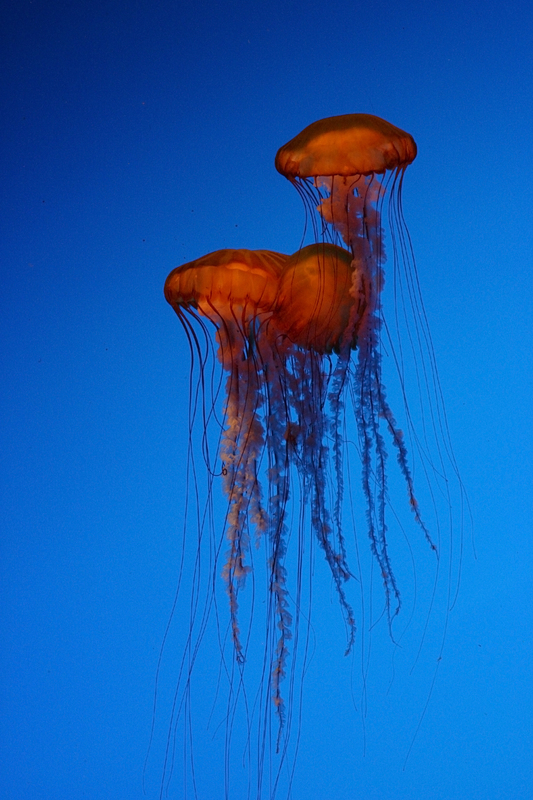 Aquariums also have magnificent habitats in so many places, and spare no expense to provide the very best in care. The conservation work and study that goes on behind-the-scenes at zoos and aquariums is also responsible for much of our modern understanding of many species…so I fall down on the side of they are a good thing. When I look exclusively at the relationship and wonder they inspire in kids…the passion and desire to be a zookeeper or veterinarian just because a lion looked you in the eye and you felt a spark…I know a new animal advocate and steward of the planet has been born each time. THAT is huge, and so worth every penny put into getting it right for the animals. 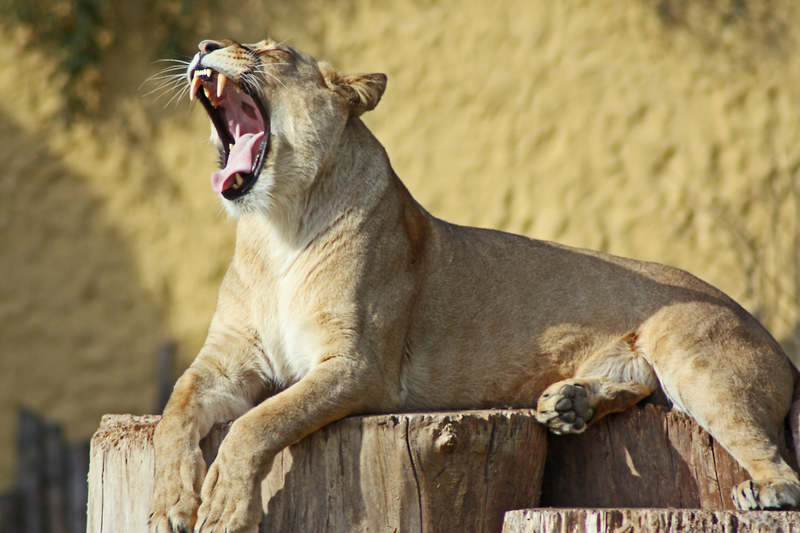 So this week, go to the AZA (Association of Zoos and Aquariums) website to find Party for the Planet events near you, and get out there and growl and howl a little for Earth Day, and all of us that are resident here. Are there teenagers in your home (or circle of friends) looking for summer plans? If you’ve got camp lanyards and wallets enough to last a lifetime, and the staff at Camp OkieFanokie defers to your judgment because you’ve been around longer than any of them…seek an alternative that can really make a difference for the teen, and the rest of us. 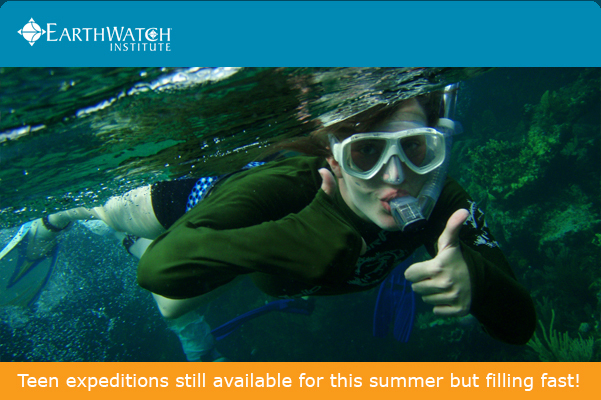 Earthwatch (one of my very favorite volunteer vacation organizations with amazing service trips for adults, teens, and families) still has some slots open for their brilliant, summertime Teen Expeditions. From their website: Join an Earthwatch teen expedition and you’ll work alongside experienced scientists at the cutting edge of conservation research, gaining first-hand knowledge of and trying to find real and achievable solutions to some of today’s most pressing environmental challenges. You’ll connect with other young people who share your passion and energy for conservation, immerse yourself in new cultures, see some of the world’s most spectacular places, and help to conserve them. How about options like: Studying pink river dolphins, monkeys, and other wildlife in the Peruvian Amazon; an archaeological dig in Britain discovering Roman ruins; working with rare carnivores in Madagascar; studying climate change on habitats near the Arctic Circle; working with scientists and coffee farmers in Costa Rica; monitoring mammal populations in Nova Scotia; Caribbean sea life study in Belize; biodiversity work in Kenya; protecting Grey Whales in British Columbia, and more. The work is true and productive, with leaders in the scientific field. It is usually a commitment of less than 2 weeks (trips vary) and is super-professionally managed and catered to the age of the participants with education and exploration, and experiences that just don’t happen at the run-of-the-mill swimming hole…and CERTAINLY offers more than a summertime of facebook and Wii.